How the hell she can be so cold? Where do you think she goes? Oh ya, where do you suppose she goes? This is a song from The White Stripes' 2005 album Get Behind Me, Satan. When the White Stripes played in Los Angeles in August of 2005, Beck went and joined his friends on stage. He played bass during "The Denial Twist." In the studio, Jack White plays bass on "Go It Alone." Beck produced (in his living room, no less), and played, on a Stripes single with these songs: "Honey, We Can't Afford To Look This Cheap," "It's My Fault For Being Famous," and "Cash Grab Complications On The Matter." 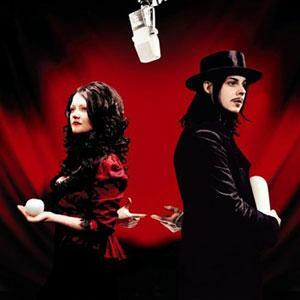 Beck was in a White Stripes music video as well.